After my tennis friends and I attended a tennis camp in Santa Cruz, CA, I wrote this for the San Francisco Chronicle. 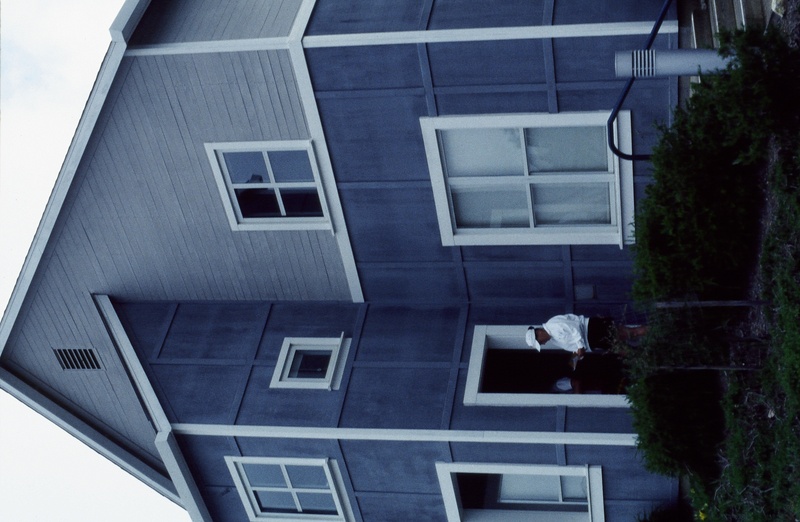 It appeared in June of 2001. A famous tennis pro once said, “Perfect strokes are already in us, waiting to be discovered.” But if you’re like most recreational and club players, you’re wondering where those perfect strokes have been hiding. In their search for perfection, many players take lessons. Some dream of being the next Martina Hingis or Pete Sampras; most of us would settle for being consistent. Our goal is simple: hit the fuzzy yellow ball over the net one more time than the opponent. One way to make that goal a little more attainable is at a tennis camp, where repetition is the name of the game. By working on proper stroke mechanics, participants learn to hit with greater consistency. The fact is, the more we hone our strokes, the better they become until one day something called muscle memory takes over and we don’t have to remind ourselves to watch the ball or follow through. It becomes automatic, like eating popcorn at the movies. But creating muscle memory isn’t easy. Over the course of an intensive few days, campers hit thousands of balls while being instructed and critiqued by teaching pros. Every aspect of the game is covered — from strokes to movement drills to mental toughness. It’s the tennis enthusiasts’ paradise. The Santa Cruz Nike Tennis Camp, located at the University of Santa Cruz, is just one of 32 camps Nike offers across the country. 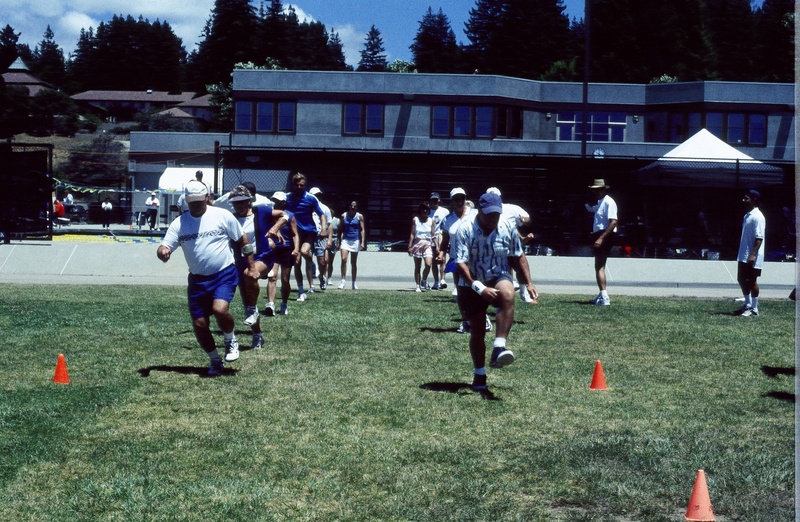 Run by US Sports Camps, their junior and adult programs are the largest in the country, accommodating 40,000 athletes (or want-to-be athletes) each summer. Headed by college coaches and their top players, camps are conducted at various Universities, so their facilities can be used — courts, dorms and cafeterias. 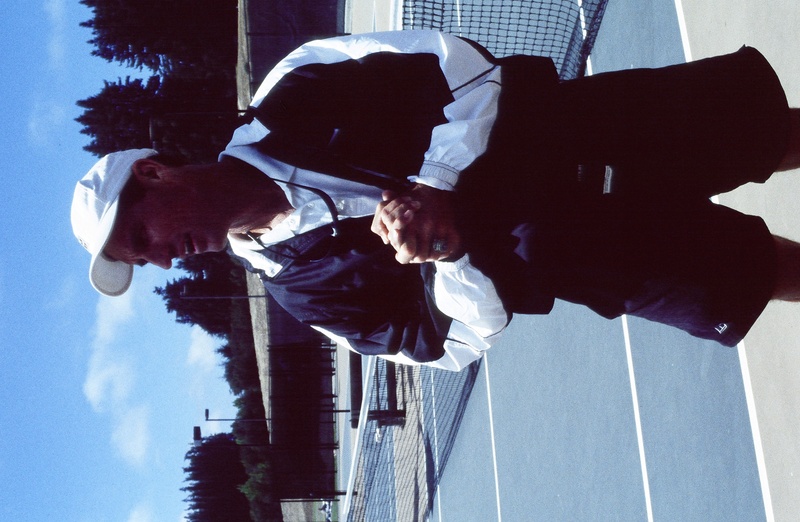 In Santa Cruz, 20-year coaching veteran, Bob Hansen, runs the camp. In December, he was named the NCAA Division III men’s “Coach of the Decade.” The only coach the Banana Slugs have ever known, Hansen has led his teams to four National Championships. The Slugs have been in the final-four 13 out of 14 years, racking up 82 All American selections. Not bad results considering there are 340 teams in their division. Along with Hansen and head women’s coach, Dave Muldawer, six to nine Banana Slugs help with the adult clinics, making for more personalized instruction. A full camp has 36 players, with one teaching pro for every four players. Junior clinics, for boys and girls ages 9-18, have 6 to 8 players for every pro. Our clinic had 24 players, (14 women and 10 men) so everyone played at the same site and not spread out over other campus courts. It created a nice flow of drills from court to court and enabled the players to interact. 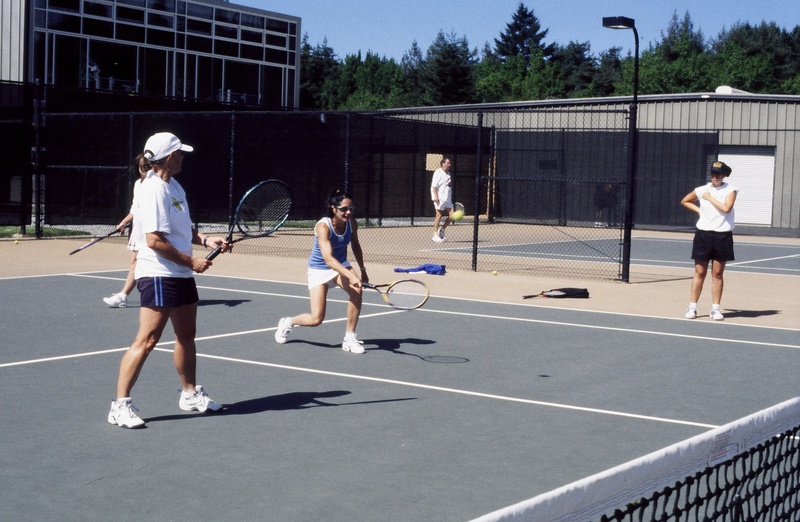 To accommodate various tennis skills, camps address different levels of play. “We introduce the game to a lot of new people,” said Hansen. “Some don’t know which end of the racket to hold and at the same camp there will also be some very skilled players, so we divide the camp in half and conduct different sets of drills for each group.” Juniors, however, must have a Sectional or National ranking to attend camp. In our Santa Cruz group, participants were USTA rated 4.0 and above. Ranging in age from 30 to 60, they traveled from as far as Washington, Oregon and Los Angeles. The three-day clinic had us hopping all day long. For over five hours each day, we attempted to master the volley, ground stroke, overhead, serve and return with enthusiastic encouragement from our instructors. Movement drills were a rude awakening to those of us who thought we already moved well on court. Play was interspersed with lectures about strategy and mental toughness, weightlifting and fitness. Muldawer, a competitive body builder, taught us about Plyometrics – exercises to improve quickness and agility. Everyone was individually videotaped on court and then delicately critiqued. An evening session was offered, but nobody was masochistic enough to show up. In-between drills we consumed huge meals in the cafeteria. They offered a wide selection of surprisingly nutritious and diverse food. One night, dinner was a barbecue atop a knoll overlooking the Pacific Ocean. Evenings can be spent in downtown Santa Cruz or at the Boardwalk, but most of us opted to read or play cards — anything that required minimum movement. Campers’ share dorm rooms and bathrooms, but have the option of staying off-campus. “A lot of adult camps are more about quality of food and the living situation,” said Hansen. “We don’t offer five-star accommodations — we’re a players’ tennis camp. If you’re a tennis nut, I think we have a great program. If you want a vacation, that’s a little different.” His overall philosophy and mission statement: serious tennis and a lot of fun. The last day of camp concluded with a singles and doubles tournament where we divided into teams: The Monaco’s vs. The Vatican’s. It was our chance to practice what we’d learned — techniques called float and go, chip and charge, crush and rush, and rip and roll. We cheered each other on, like a mini-Davis Cup, then departed hoping our muscle memories had been paying attention. It can be said that tennis is a means of gaining valuable life skills — handling pressure, learning to focus and solving problems. Nike tennis camps try to teach these lessons in a way that’s fun and geared to make us better players. We leave with the tools to become more consistent; the rest is up to us. A stay at a tennis camp may not have us playing like Hingis or Sampras, but it motivates us to keep on dreaming.